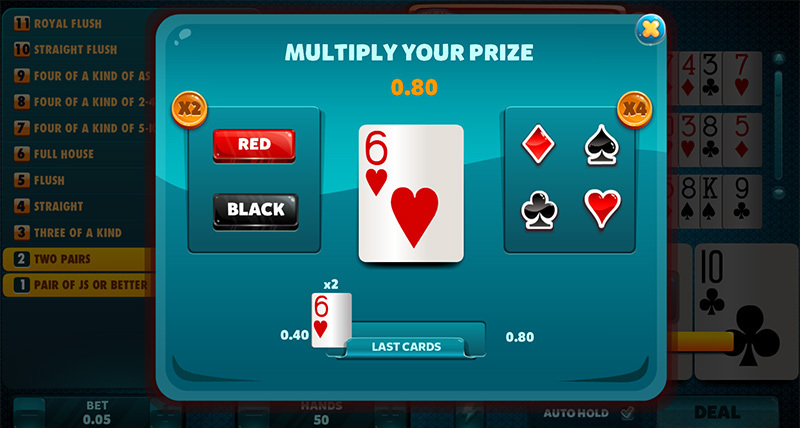 New variation of “Jacks or Better” where the prize of the Four of a Kind is increased. 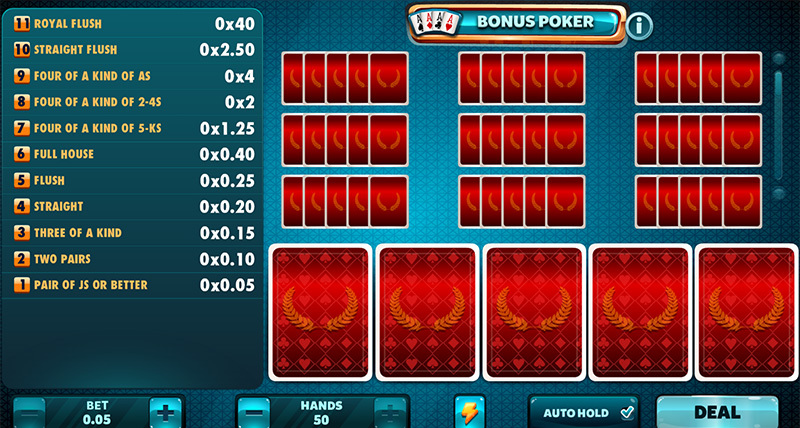 Obtain that hand in order to win the biggest prizes! 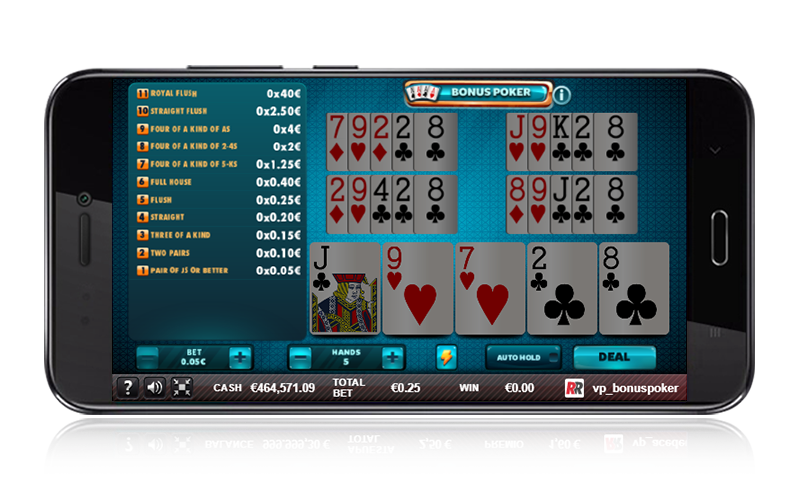 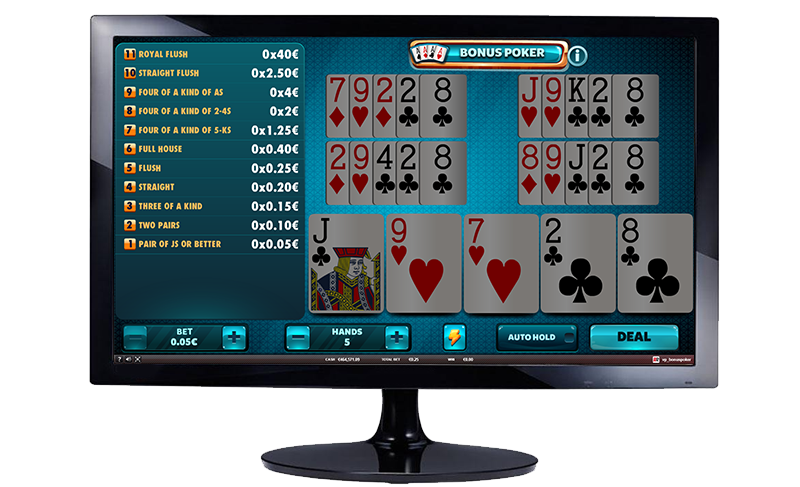 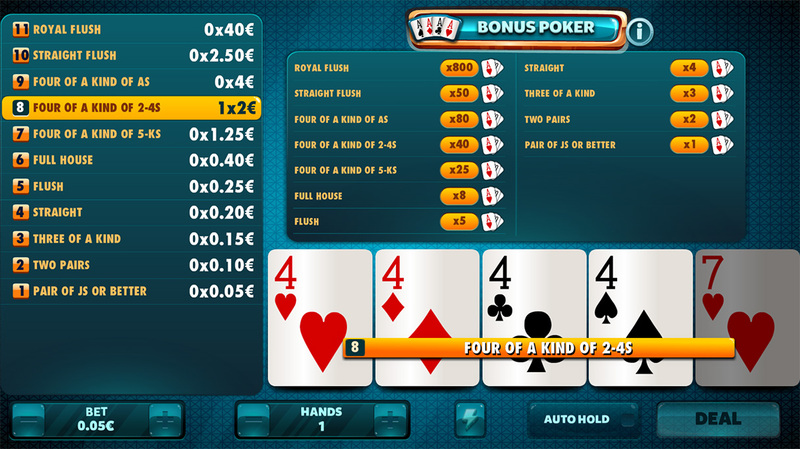 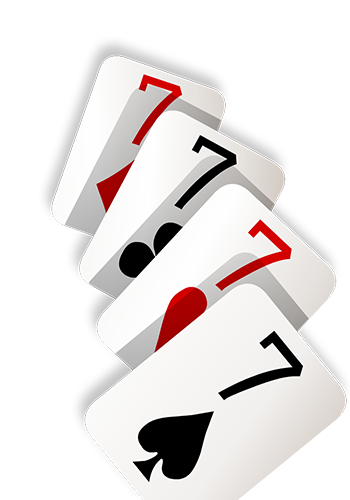 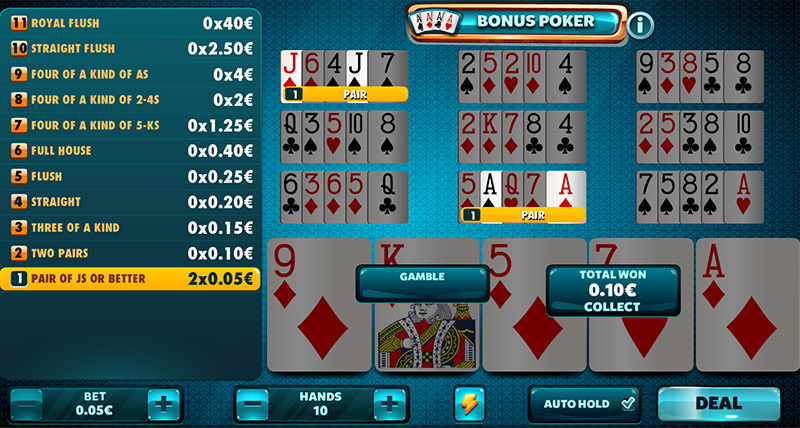 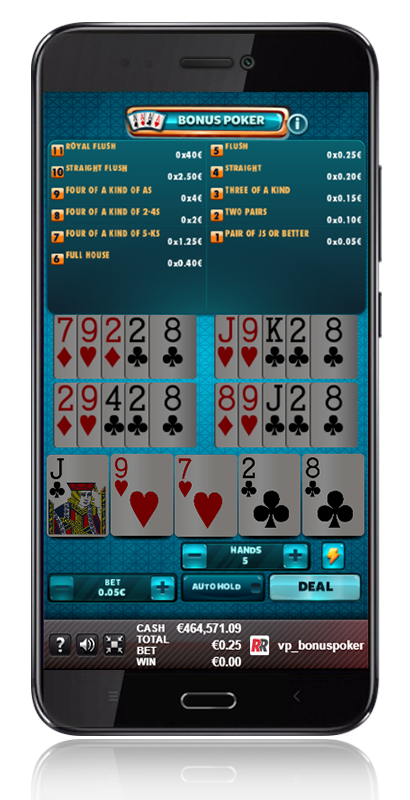 Bonus Poker: Go for the Four of a Kind in order to obtain the big prizes in this variant. 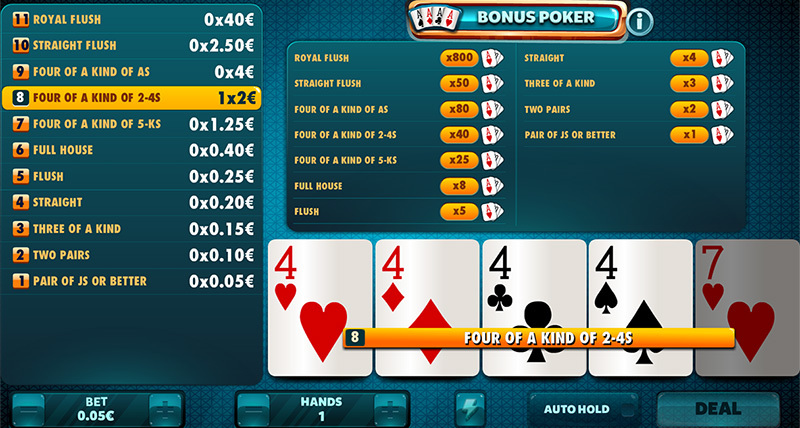 Bonus Poker: Any hand equal to or higher than a pair of Js will have a prize.